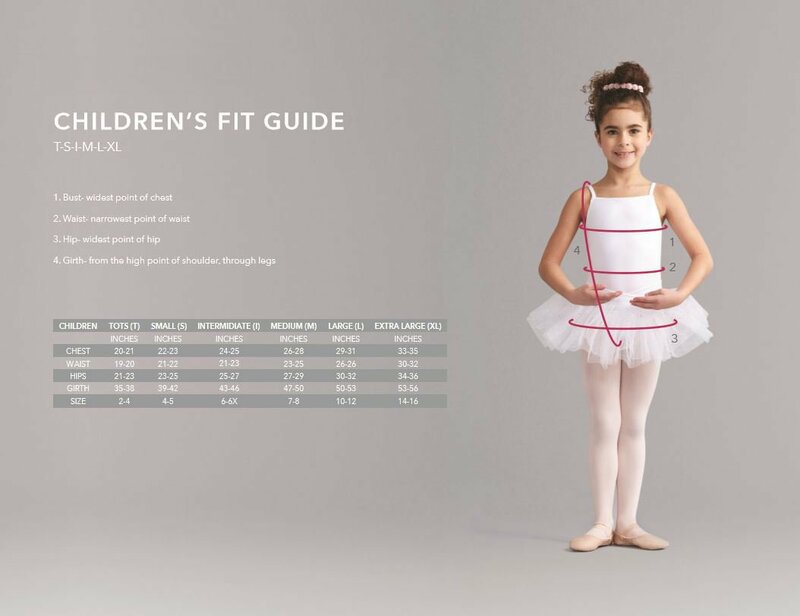 This tank style leotard features a unique pleated sheer overlay, making it look like the bodice of a princess’s gown from a story book The geometric style lines and panels give shape and comfort. The beautiful back strap configuration has triangle cut outs just under the shoulder blades. 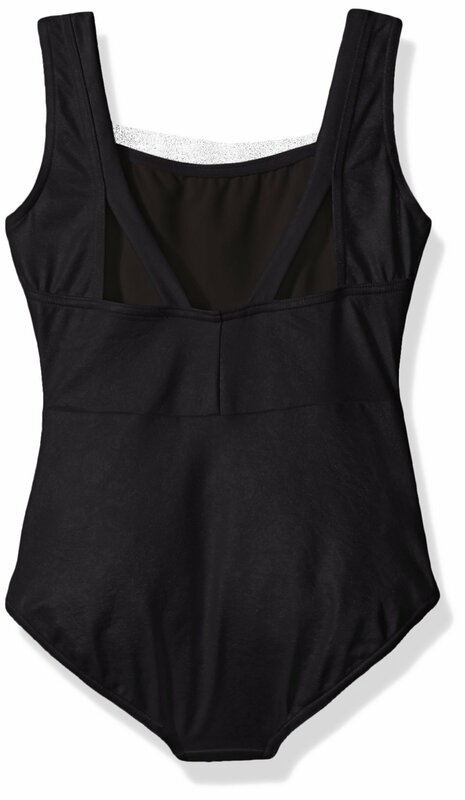 This is definitely the leotard to get her when she wants to feel a little more sophisticated.